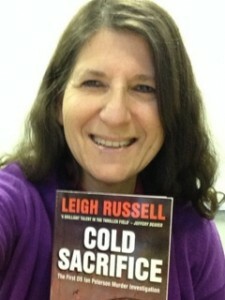 Today I’m welcoming the fabulous Leigh Russell to the blog. Hailed as ‘a brilliant talent’ by Jeffery Deaver and ‘a deeply human voice’ by Peter James, Leigh writes the internationally bestselling Geraldine Steel series of psychological crime thrillers. 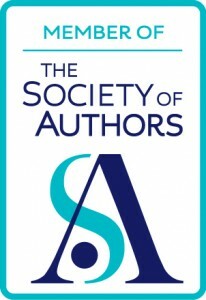 Her first novel, Cut Short was shortlisted for a CWA Dagger Award for Best First Crime Novel. The series reached Number 1 on Kindle for female sleuths, Top 50 Bestsellers Chart for WH Smith’s Travel, Top Reads list on Eurocrime. As well as the bestselling Geraldine Steel series, Leigh is currently writing a spin off series featuring Geraldine’s popular colleague Ian Peterson. Now I only have two questions for you, Leigh, but you need to answer them fully. Anything you say…Well, you know the rest. Ever since Geraldine Steel burst on to the (crime) scene, she has had unparalleled success (CWA awards, #1 on Amazon, Eurocrime Top Read and hundreds of 5 star reviews); readers have taken her to their hearts. What makes her such an attractive heroine? My interest in people is what inspires my writing, and people who kill really fascinate me. What is it that drives one person to take another person’s life? Of course, there can be a number of motives driving such behaviour. It seems to me there is always an element of madness about it. Do you remember Anders Breivig who killed eight people in Norway and claimed to be sane? All I can say is, if that is sane behaviour, then I must be even more crazy than I thought, because I don’t believe that killing other people is ever a sane way to behave. I am opposed to physical violence of any kind. Aggression is never an answer to a problem. And yet… if someone was threatening the life of a member of my family, and I had a gun – and knew how to use it – would I pull the trigger? Of course I would. Does that mean I’m insane? When I started writing, it was the killer, and not my detective at all, who engaged my attention. 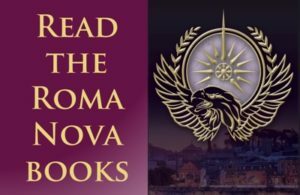 I wrote pages and pages about him, “taking the reader into the darkest recesses of the human psyche”, as Barry Forshaw kindly said of my books. Having established the premise for my debut, Cut Short, and explored the lives of my killer and his victims, the next step was to introduce a detective to solve the crime. So Geraldine Steel was created. You might think – as I did – that a credible ‘normal’ detective would be far easier to create than a plausible killer. Paradoxically, Geraldine took longer to emerge than that first killer. Creating a detective inspector imposes certain restraints. She has to behave in a way that is believable. So I had to stay within certain unwritten parameters of ‘normality’ if my readers weren’t going to dismiss my story as too far-fetched. I have a following on the police force. They know what life is like for a detective inspector. So I wanted to get my detective right. With my killer I had absolute artistic and creative licence to make him do whatever I wanted. He didn’t need to be sane. His actions needed to make sense only within the world of his own mind. No reader could say to me, ‘I don’t believe a killer would do that,’ because how would the reader know what might go on in a killer’s mind? Writing my killer, I was free of all rules. It was incredibly liberating. Readers’ reactions to both Geraldine Steel and Ian Peterson has taken me completely by surprise. Some of my fans know more about my detectives than I do! I am really grateful to the many fans who contact me wanting to know about them. It has been genuinely surprising, and really thrilling. 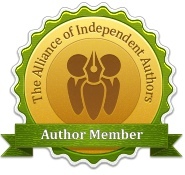 So if you are a fan of my work – thank you! What is the most frequent question that fans/readers ask you and how do you answer it? Readers contact me every week via my website, with all sorts of questions. I always respond in person. Most frequently I’m asked when my next book will be published. This question has become rather complicated to answer. When my debut came out in 2009, there was one launch date, and that was it. Now I’m not only writing two series a year, but the ebooks and print books come out at different times, which is effectively four publication dates a year in the UK alone, plus large print editions and audio, and now there are publication dates overseas as well, with editions in French, Italian, Turkish, and German, and books published in the US by Harper Collins. Here are the remaining UK publication dates for 2014. 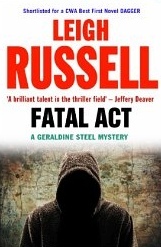 The sixth Geraldine Steel title, Fatal Act, is available in paperback this month. The seventh will be out as an ebook in December, as yet untitled. The second Ian Peterson title, Race to Death, is out as an ebook in June, with the paperback out in September. …And looking at that schedule, I think I’d better get back to writing! Thank you very much for inviting me onto your blog, Alison. I look forward to seeing you at the St Clementin Literary Festival in France in August! After chatting together at the London Book Fair in April, it will be great to meet up with you again in France, Leigh!